The Center on Great Teachers and Leaders (GTL Center) at American Institutes for Research (AIR) serves as a dynamic technical assistance hub for the regional comprehensive centers, state education agencies, and other GTL stakeholders. The GTL Center does not endorse any interventions, nor does it conduct field studies. The views expressed on this website and its resources do not necessarily reflect those of the U.S. Department of Education. Neither the GTL Center nor any third parties provide any warranty or guarantee as to the accuracy, timeliness, performance, completeness, or suitability of the information and materials found or offered on this website for any particular purpose. Users acknowledge that such information and materials may contain inaccuracies or errors and the GTL Center and AIR are exempt from liability for any such inaccuracies or errors to the fullest extent permitted by law. This website contains material that is owned by or licensed to the GTL Center and AIR. This material includes, but is not limited to, the design, layout, look, appearance, and graphics. Reproduction is prohibited other than in accordance with the copyright notice, which forms part of these terms and conditions. Please keep your comments appropriate and focused on the website's work and issues. We also ask that you follow our posting guidelines here. If your comments do not comply, your message will be removed. All comments on the blog are subject to review. We reserve the right to withhold approval for any comments that are contrary to respectful and productive dialogue. We do not allow graphic, obscene, or explicit comments or submissions, nor do we allow comments that are abusive, hateful, or interpreted as intended to defame anyone or any organization. We do not allow solicitations or advertisements, including the promotion or endorsement of any financial, commercial, or nongovernmental agency. Similarly, we do not allow attempts to defame or defraud any financial, commercial, or nongovernmental agency. You participate of your own accord, taking personal responsibility for your comments, your username, and any information provided. 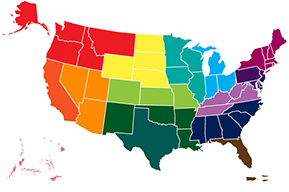 The U.S. Department of Education’s Comprehensive Centers program consists of seven national content centers and 15 regional centers.